What are the duties and responsibilities of your position? What previous experience qualifies you for this position? How do you intend to use your position to make your organization more efficient? Can you fully commit to the demands of this position? (for treasurer) Are you familiar with the A&S fee funding process? (for treasurer) Do you know what the budget for your organization in the next fiscal year will be? How familiar are you with the Student Body Statutes and Constitution? If approved for this position would you have any potential conflicts of interest? What past experiences qualify you for this position? Can you fully commit the time necessary for this position? What is your approach to statute interpretation? How would you carry out your duty to represent students before the Supreme Court? What experiences qualify you for this position? How would you share responsibility with the other General Counsel? What is a problem that you have seen on campus that you want to fix? What are the 5 standing committees of Senate, and what are their functions? What led you to becoming interested in becoming a student senator? Will you be able to commit fully to your position? What is the purpose of the SGA senate? What are some ideas you have to facilitate better communications with your constituents? How will you improve the FSU experience for your constituents? Will you be a senator who works behind the scenes or a senator who actively legislates? As an appointed senator, how will you represent your constituents as if you were elected? What does RTAC or PAC stand for? What is the budget of your board for the next fiscal year? How familiar are you with the finance code? What is the maximum amount that PAC can fund per unit for t-shirts? What is the maximum amount of times you can request from RTAC in the year? What is the current state of academic affairs at FSU? How can SGA improve things in this area? What are some specific ideas you have for projects to build partnerships with colleges/ departments, and create research opportunities for students? What are some specific academically driven goals that you would like the administration to implement? Why are research opportunities important for undergraduate students? What are your ideas for improving the college leadership councils? How will you contribute to helping FSU attain a Top 25 Ranking? In our pursuit to attain a Top 25 ranking, would you depend more heavily on academic efforts or innovative thinking? Why is it important for the FSU campus to have a rich artistic heritage? Why are you the best advocate for the College of Music; College of Visual Arts, Theatre, and Dance; and the College of Motion Picture Arts? How do you plan to bring these colleges closer to the SGA and the student body? What are some specific ideas for programming that you would like to implement? How might these programs benefit the student body? How would you define the collective voice of the SGA? What are some specific organizations and/or individuals within the community that you would partner with to help advance FSU? What are some ideas you have for improving communication between SGA entities? With six agencies and seven bureaus, plus many other projects and initiatives to keep track of, how will you manage to keep everything running smoothly? How would you bridge partnerships between the community and FSU organizations? What are the benefits of connecting our students to the numerous leadership and professional development opportunities that SGA has to offer? Why is having access to multicultural experiences important to the student body? How would you rate the current level of programs, which promote leadership, professional development, and multicultural experiences? What are some specific ideas you have to promote involvement among the student body? How do plan to utilize various campus offices, such as the Center for Leadership and Social Change, to achieve these goals? How will you work to make SGA and campus more inclusive? Why is it important to have consistent communication between all entities of SGA? With so many departments to keep track of, how will you manage to keep everything running smoothly? What are some ideas you have for new structures and initiatives to help SGA support the efforts of different campus departments? Would you say that stronger unity between departments is in the interest of the student body? If so, how will you use this position to strengthen these bonds? Who are some specific individuals in SGA you plan to work with to improve communication among the departments? What connections do you have with the various media outlets? 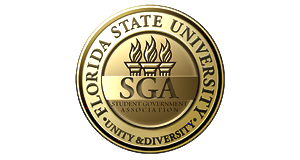 How can SGA improve relations with FSView? What are some policies and stances of the administration in which you have been nominated to serve? Why is it important for the administration to communicate these policies and stances? How do you plan to use social media to further goals of the administration? Why is the Chief of Staff such an important position in SGA? Why should the students trust you to get the job done? How you will you effectively execute programs and/or projects for the executive branch? How will you organize the Executive Office of the President to best serve the student body? What will you look for in applicants for positions within agencies, bureaus, and affiliated projects of the SGA? What are the roles of the Executive Branch and the Legislative Branch as they pertain to appointments in SGA? How will your leadership style affect how you organize the cabinet to achieve platform goals? How will you act as a liaison between the Executive and Legislative branches? How will your leadership style help organize the cabinet to further their goals? What problems can you foresee in the coming year that you wish to overcome? How will you use this experience to grow as an individual? Who makes up the electorate? Why are contested elections important for the democratic process? What will you do to ensure that participation in elections and voter turnout are high? What are some ideas you have for improving the elections code? What are the duties and responsibilities of the position that you are applying for? During your term of office what is your organization’s operational budget? How will the difference in funding allocated in the previous year from funding received for this year impact your programing ideas? Describe your experience working with this organization in the past or working on a project that is related to the mission statement of the organization. Give an example of a project that you have taken the lead on. What was the outcome and what did you learn from the experience? What are the prevalent issues that your community faces and what will you do as Agency Director/Agency Assistant Director to address them? What plan of action or programing will you implement to address those issues? How will you work with the affiliated organizations of the agency? Describe your approach to leadership. Give a specific example of a difficulty that you have experienced when working with this agency and how did you handle it? What is the most difficult decision you’ve ever had to make during your last leadership position? How did you arrive at your decision? What was the result? How have you gone about setting short-term goals and long-term goals for yourself or your organization? What steps did you take along the way to keep yourself accountable? Describe a leadership role of yours outside of campus. Why did you commit your time to it? How do you prioritize projects and tasks when scheduling your time? Provide examples. What was the biggest mistake you have made when delegating work to members of your organization? What did you learn from this? When have you seen your hard-work really pay off in your organization? What was the outcome? What has been your greatest leadership achievement to-date? What have you done in the past to prevent a situation from becoming too stressful for you or members of your organization to handle? Do you feel comfortable publicly speaking and presenting?